Guardian News & Media Archive wanted to identify the sitter of a portrait, previously owned by the Manchester Evening News & Guardian, Salford. The archive assumed it showed someone connected with the newspaper but sought further information. Tim Williams suggested the sitter was Thomas W. Evans, a past general manager of Manchester Evening News, painted on his retirement in 1929. Tim found further proof of this an edition of the Newspaper World and Advertising Review, 1929, which stated that Evans retired from the position of General Manager after 60 years of service with the newspaper. He joined the paper aged 17 as a ‘Collector’, becoming a Cashier in 1881, and by 1901 was promoted to General Manager, a position he held until retirement. The Evans family had a tradition in the Manchester newspaper business. Thomas’s father, uncle and son, Charles, worked in the trade. His youngest son, Henry, belonged to the Manchester Regiment and was killed on the Somme, October 1916. Guardian News & Media Archive used the information uncovered by Art Detectives to create an authority file for Thomas William Evans. 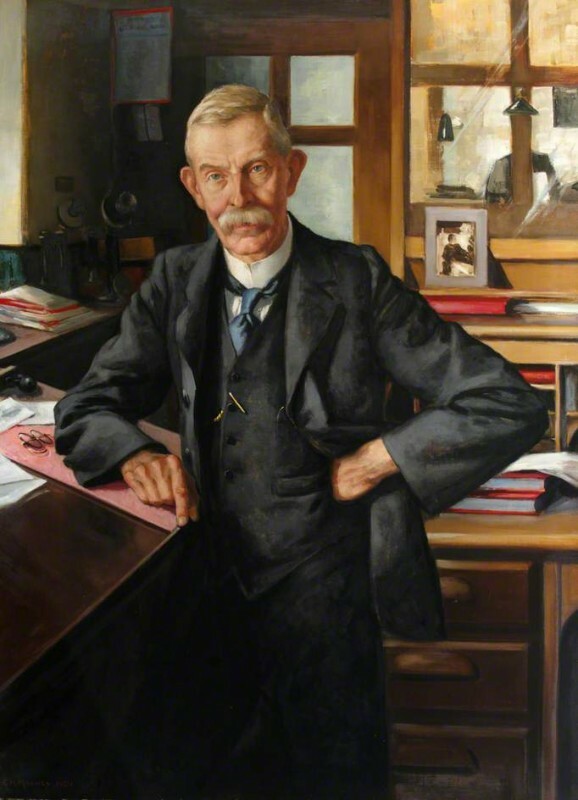 Art UK updated the painting title to Thomas William Evans (1853–1939), General Manager, Manchester Evening News (1901–1929). Can anyone identify this sitter, presumably linked to newspapers?